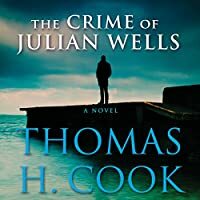 With THE CRIME OF JULIAN WELLS, Thomas H. Cook, one of America's most acclaimed suspense writers, has written a novel in the grand tradition of the twisty, cerebral thriller. Like Eric Ambler's A COFFIN FOR DIMITRIOS and Graham Greene's THE THIRD MAN, it is a mystery of identity, or assumed identity, a journey into the maze of a mysterious life. 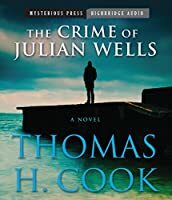 When famed true-crime writer Julian Wells' body if found in a boat drifting on a Montauk pond, the question is not how he died, but why? The death is obviously a suicide. But why would Julian Wells have taken his own life? And was this his only crime? These are the questions that first intrigue and then obsess Philip Anders, Wells' best friend and the chief defender of both his moral and his literary legacies. Anders' increasingly passionate and dangerous quest to answer these questions becomes a journey into a haunted life, one marked by travel, learning, achievement and adventure, a life that should have been celebrated, but whose lonely end points to terrors still unknown. Spanning four decades and traversing three continents, THE CRIME OF JULIAN WELLS is a journey into one man's heart of darkness than ends in a blaze of light.